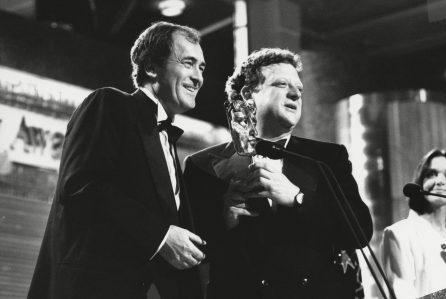 Multi-Oscar winner Bertolucci passed away this morning in Rome aged 77 following a battle with cancer. Thomas traveled to say goodbye to his old friend and collaborator this past weekend. Thomas and Bertolucci worked together on five films: The Last Emperor, The Sheltering Sky, Little Buddha, Stealing Beauty and The Dreamers. Bertolucci first contacted the UK producer after seeing his film Merry Christmas Mr Lawrence at the Cannes Film Festival in 1983. The director was already well known for films such as The Conformist and Last Tango In Paris. The pair met at a Chinese restaurant in London where Bertolucci revealed his ambition to make a film about China’s last Emperor, which would go on to become The Last Emperor. The film won nine Oscars in 1987, including Best Film and Best Director. Their last film together was the 2003 drama The Dreamers with Eva Green. The duo continued to discuss ideas for films in later years and had a script for a film about Neapolitan composer Carlo Gesualdo da Venosa but the project didn’t come to fruition. Martin Scorsese said, “In 1964, I went up to Alice Tully Hall at Lincoln Center for the 2nd New York Film Festival to see a new film from Italy. It was called Before The Revolution and it was by a young director named Bernardo Bertolucci. I came out of the theater in a daze, speechless. I was truly stunned and moved by the level of sheer artistry and talent up there on the screen, I was shocked by the freedom of the picture, I was somewhat mystified by so many of the cultural references and cross-references, and, as someone who wanted to make films, I was inspired. Before The Revolution opened many doors for me, and for many other young filmmakers as well. And Bertolucci kept on opening doors—with The Conformist, which had a profound influence on Hollywood moviemaking; with Last Tango in Paris, an explosive cultural event; with The Last Emperor and The Sheltering Sky, which reinvented the historical epic. When I think of Bertolucci—the man, the artist—the word that comes to mind is refinement. Yes, he was flamboyant and provocative, but it was the mellifluousness and the grace with which he expressed himself, and his deep understanding of his own history and culture, that made his filmmaking and his presence so special, so magical.